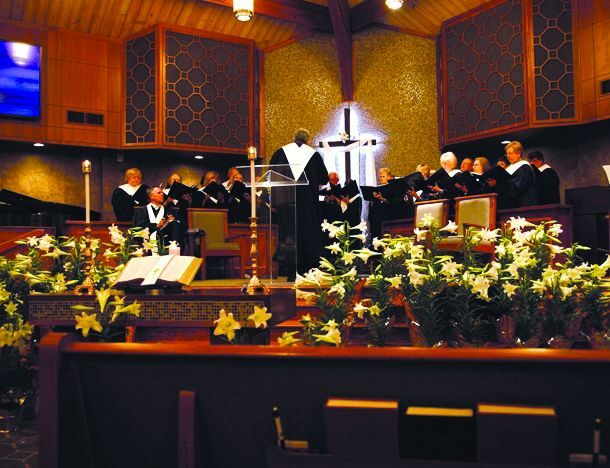 Our Worship team includes many ministries of the church. 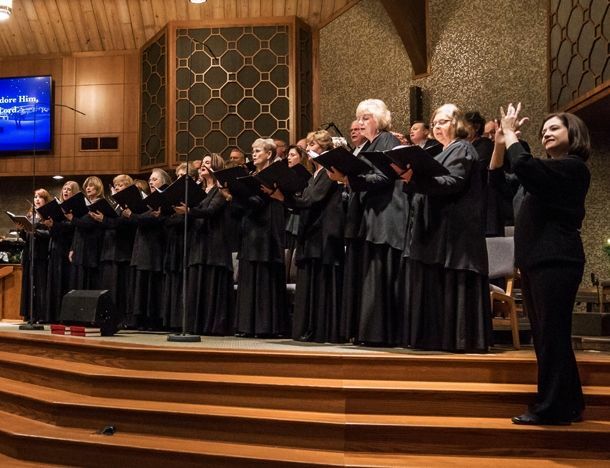 From Choir and Hand Bells to Production, Lighting and everything in between, we welcome many skill sets and assist in creating an atmosphere where people can connect with each other and to God. Our carpet team meets in the gym and transforms the space for worship by laying down carpet over the floor and then again picking up after the final service. Our carpet team meets weekly (Saturdays at 8 am) in the gym to begin the process of transforming the space into a worship arena by laying down carpet over the floor, and then meets again on Sundays at 12:30 to pick the carpet up. The process takes only 30 minutes for each. The chair team meets weekly in the gym to follow up after the carpet team in preparing the space for worship, and then again on Sundays to assist in tear down. The chair team meets weekly (Saturdays at 11 am) in the gym to follow up after the carpet team in preparing the space for worship, and then meets again on Sundays at 12:30 to assist in tear down. 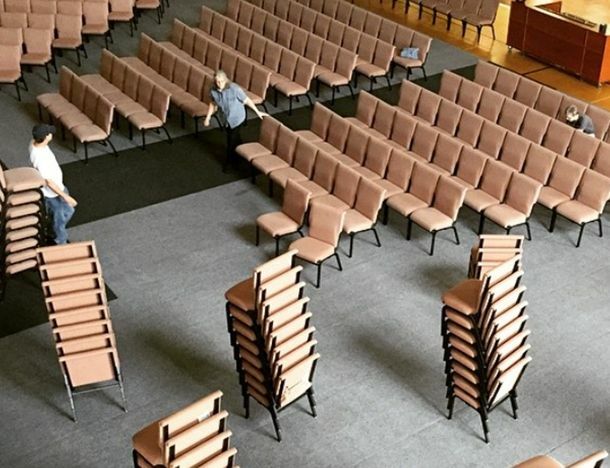 We have around 500 chairs that we set up every week for worship and are always happy to have more people assist this team. 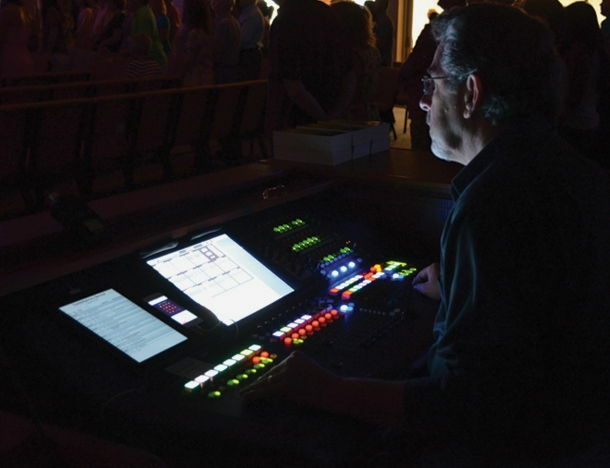 Our production team provides technological services for worship, both live and in preparation. Our production team provides technological services for worship, both live and in preparation. This team’s area of focus to: provide sound engineering for worship, run video switching for our screens, operate video cameras, produce worship videos, and build/design worship stage backdrops. Our praise band is comprised of various musicians with eclectic musical backgrounds. Our praise band is comprised of various musicians with eclectic musical backgrounds. While their backgrounds are diverse, their purpose is one: to help lead people into the presence of God through worship music. If you are interested in auditioning for this team, please let us know. Our photography team assists the church by being present at various events and worship services/baptisms and taking photos for those involved in the events. Our photography team assists the church by being present at various events and worship services/baptisms and taking photos for those involved in the events. We are always looking for more professional/talented amateur photographers who would like to be a part of this team. Our Chancel Choir is the anchor for our traditional services. Our worship team assists in the preparation for worship services, such as making and delivering communion elements, setting up altar tables, as well as other details. Our worship team assists in the preparation for the worship services, such as making and delivering communion elements, setting up altar tables, as well as various other worship accoutrements. The Hand Bell Choir provides the beautiful, traditional sounds of a bell choir at Pathway.